BIOEFFECT introduces its first Cleansing Water embracing the natural beauty from the Land of Ice and Fire. In honor of the outstanding natural resource, integrates the world most pure Icelandic groundwater with innovations, creating an unique and toxin-free water for skin wellness. Using the gift from the Earth as major ingredient, it helps achieve a clear, moisture, and radiant skin. 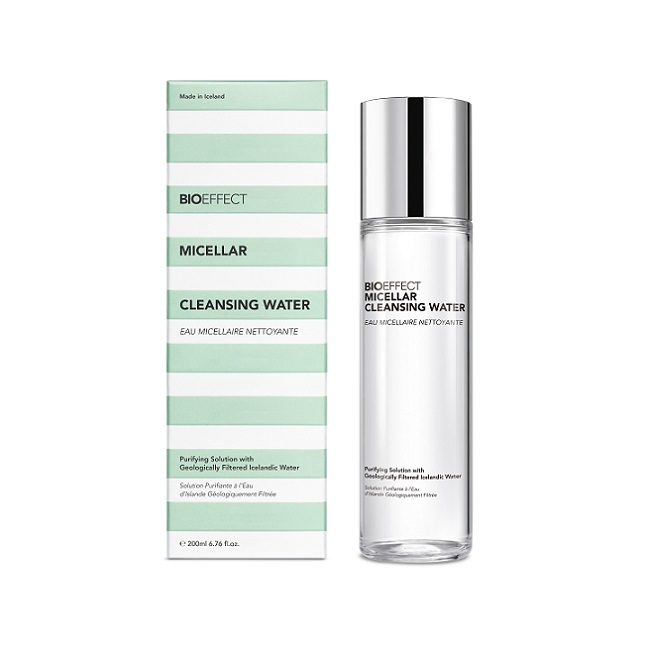 BIOEFFECT Micellar Cleansing Water is made with pure, soft, geologically filtered Icelandic water that hydrates and balances the skin, easing dryness and discomfort. This fragrance-free micellar water contains molecules that assimilate oil and dirt from the skin. A low concentration of hard minerals such as calcium and magnesium help irritate skin after an natural cleansing process. This simplifies the daily cleansing and moisturizing process, and it can be used either in the morning before applying makeup and sun protection, or in the evening, to remove makeup, sun protection, and the day’s accumulation of dirt and oils. Containing the unique, pure, and natural ingredients, It is also an ideal product to refresh and hydrate the skin under humid condition.